The Acumatica solution is a complete, multi-site manufacturing control and planning system that integrates your production planning and shop floor with customer management, sales orders, inventory, purchasing, accounting and financial reporting. 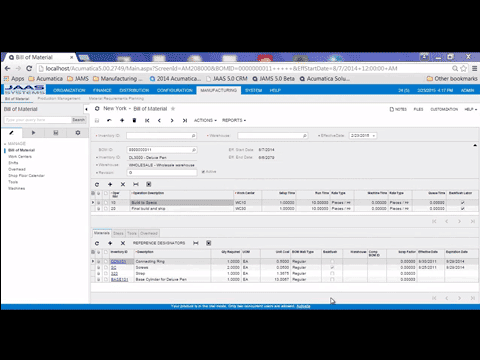 Acumatica’s embedded manufacturing solution, JAAS Advanced Manufacturing Software (JAMS), is built within the Acumatica framework; it integrates seamlessly with Acumatica’s Financial, Distribution Management, Customer Management, and Project Accounting Suites. Acumatica with JAMS provides real-time coordination of your business activities from one central location. JAMS delivers powerful and complete functionality for make-to-stock, make-to-order, engineer-to-order, project centric, job shop, batch and repetitive manufacturing companies. Multi-level Bill of Material (BOM)/Routing presents both engineering and financial views of the product structure, while efficiently planning and managing your inventories, costs and manufacturing processes and maintaining full revision control. 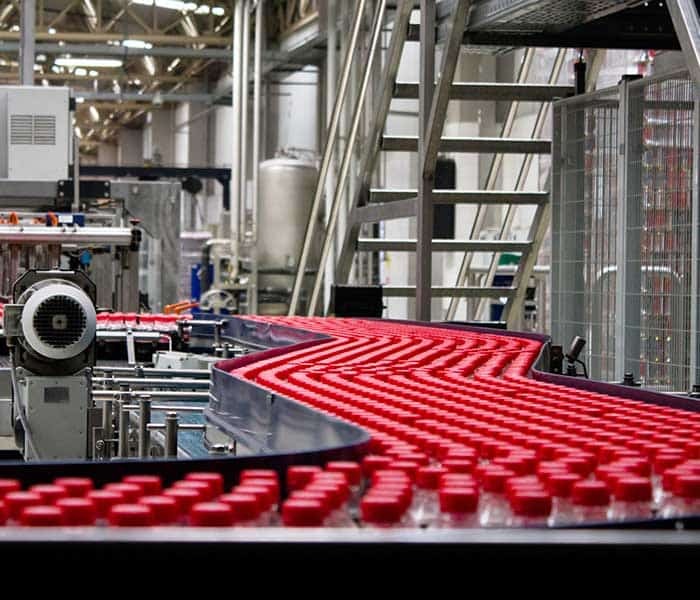 Material Requirements Planning (MRP) is the software engine that takes demand from sales orders and forecasts, in conjunction with the supply of purchase orders, production orders and master production schedules, to generate planned orders in a time phased manner to offset the outstanding demands for end items and subassemblies. From components to finished goods, track material and labor costs and schedule productions on the shop floor as well as comparing the standard/planned production costs to the actual costs of the production order. Up-to-date and accurate information all in one system with an intuitive interface and tools to adapt the system to your business’s growth. Check out the Manufacturing Management datasheet for more information. Download the report to learn how cloud ERP solutions outperform in several key manufacturing metrics. 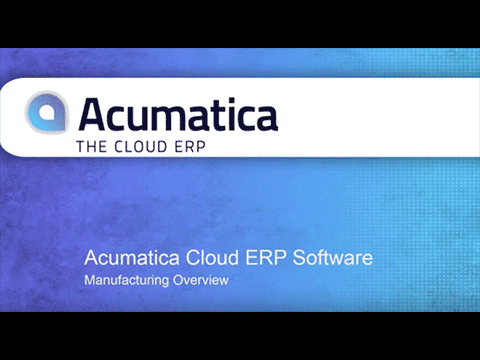 Join us as we provide an overview of Acumatica Cloud ERP for Manufacturers and explain how it can help your organization drive revenue, raise productivity and lower cost. Get an in-depth look at JAMS, a flexible software solution that supports multiple types of production environments, keeps you in control with real-time visibility and communication tools.